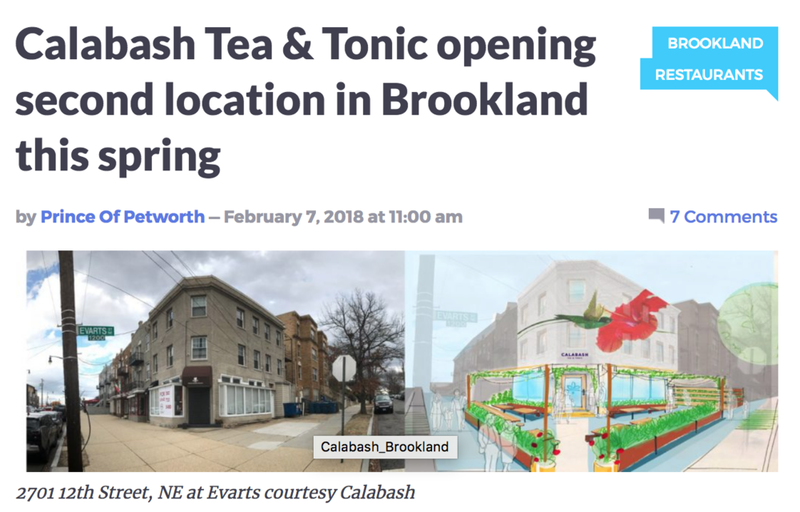 Calabash creates communi-tea. Check out what people have to say. Calabash's owner shares her perfect day in the community. Read more at the Washington Post Express. Eater thinks Calabash is one of the best spots in the city for a first date. We couldn't agree more! Read the article here. D.C.'s Founder of Step Afrika! chooses to start his day at Calabash Tea. This man has good tastes. Read more at Washington Post. Washingtonian interviewed us about the new shop in Brookland. Read what they have to say. Read the article here about Eater's take on our expansion to Brookland. 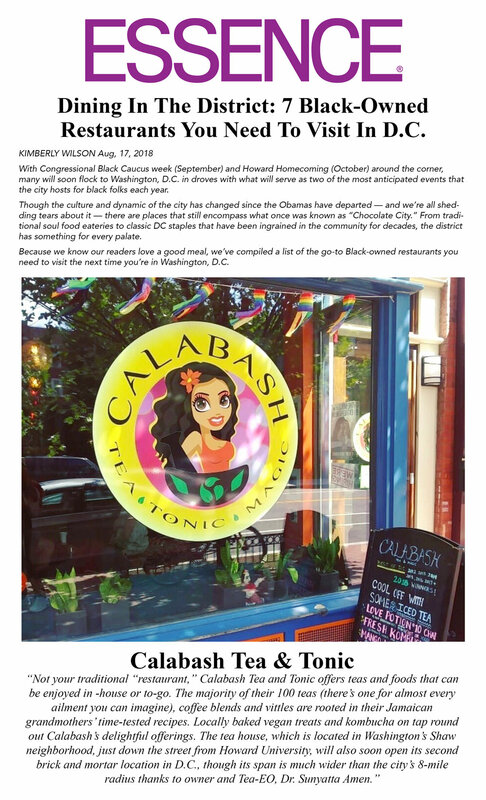 Read what the Prince of Petworth says about our new location announcement. The DC community has spoken... We've been awarded DC's best Tea shop 5 years in a row. We love you too, DC! According to the good people at Zagat, Calabash is the shiznit! Sunyatta whips up a yummy Kale salad with Teriyaki & Tangerine salsa on TV! Check out the segment on our Youtube channel.